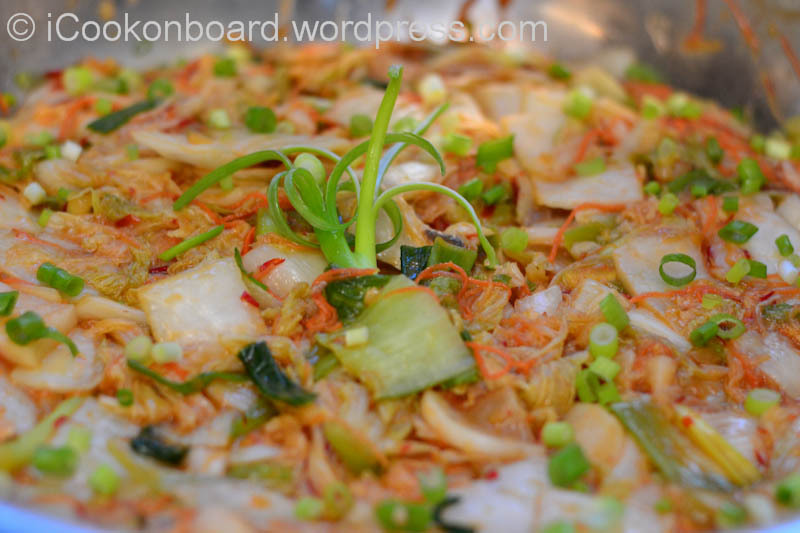 such as napa “chinese” cabbage, radish, scallion, or cucumber. 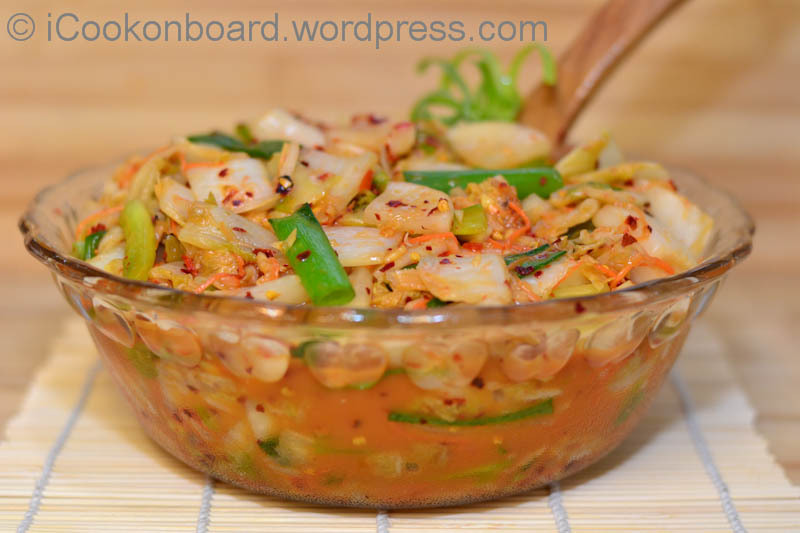 Kimchi is a traditional fermented Korean side dish made of vegetables with a variety of seasonings. It is often described as “spicy” or “sour”. 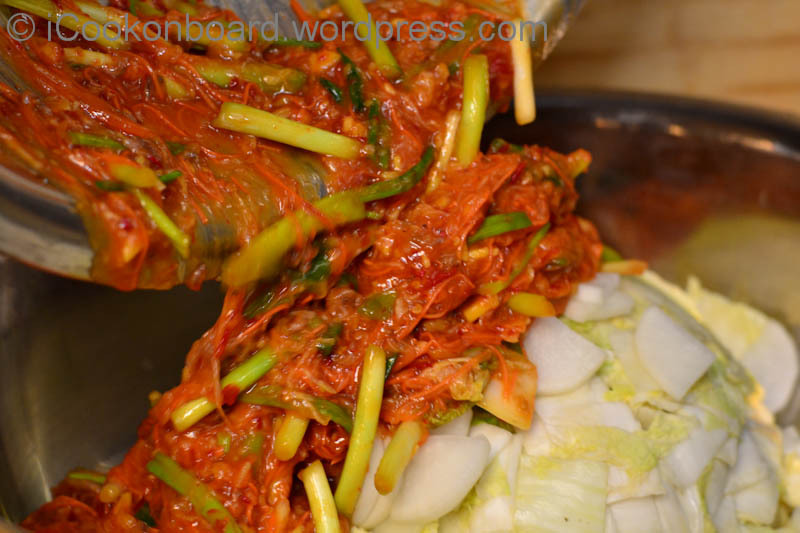 In traditional preparation Kimchi was often allowed to ferment underground in jars for months at a time. back when I was still serving a Korean ship. Step 1, Brine the Cabbage. 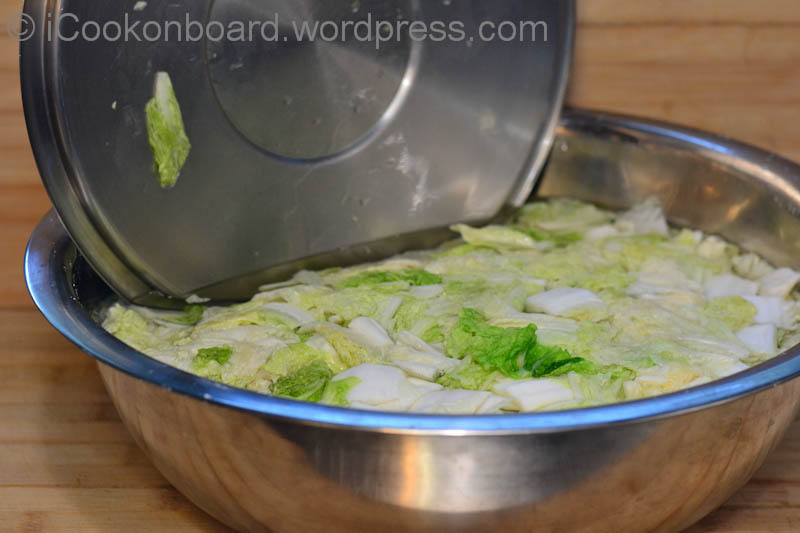 Place cut Chinese cabbage into a large mixing bowl (atleast 6ltrs capacity). 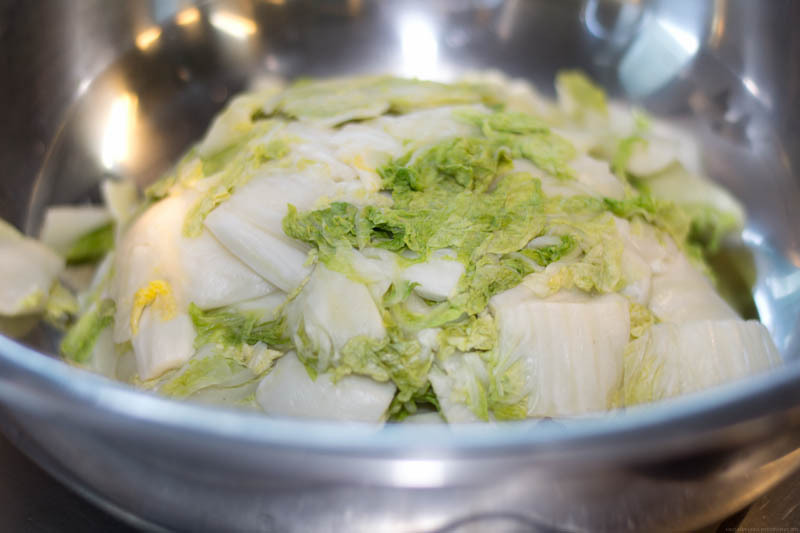 Mix in Salt into Boiling water (it should taste like seawater),pour it into the Chinese cabbage. 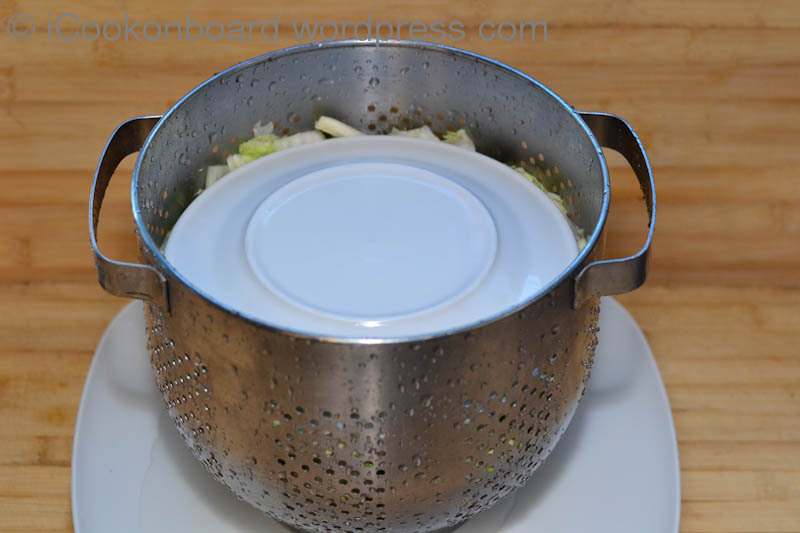 Cover it w/ a pot-lid to keep the Chinese cabbage soak for atleast 6hrs. 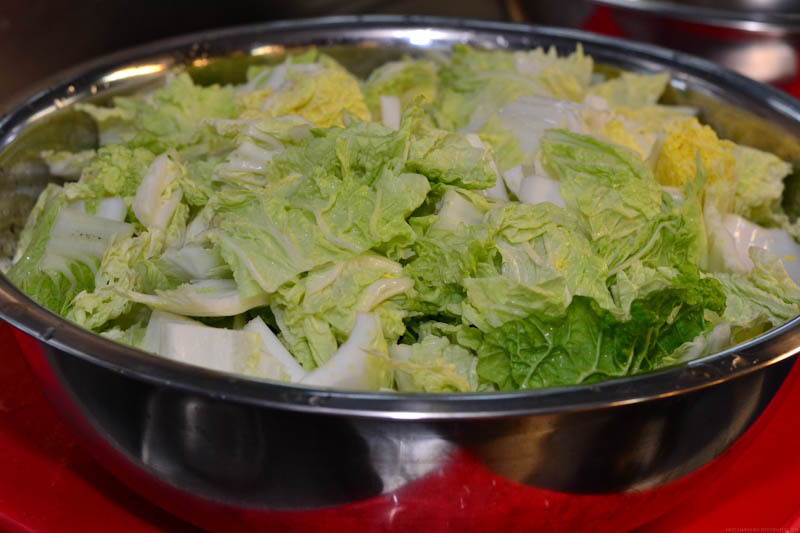 put a heavy (5kg water/cooking oil bottle) weight on top of the plate to squeeze out the water from the Chinese cabbage. After an hour of squeezing/draining the water out. 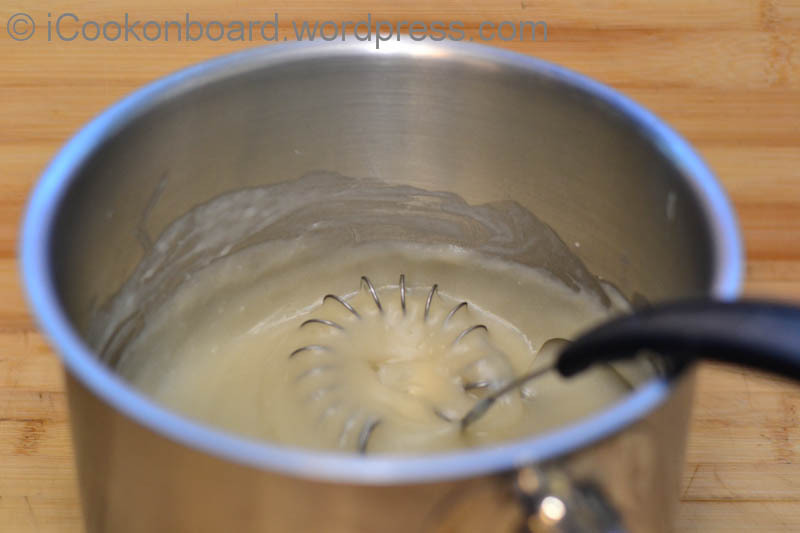 Transfer it back to the large mixing bowl. 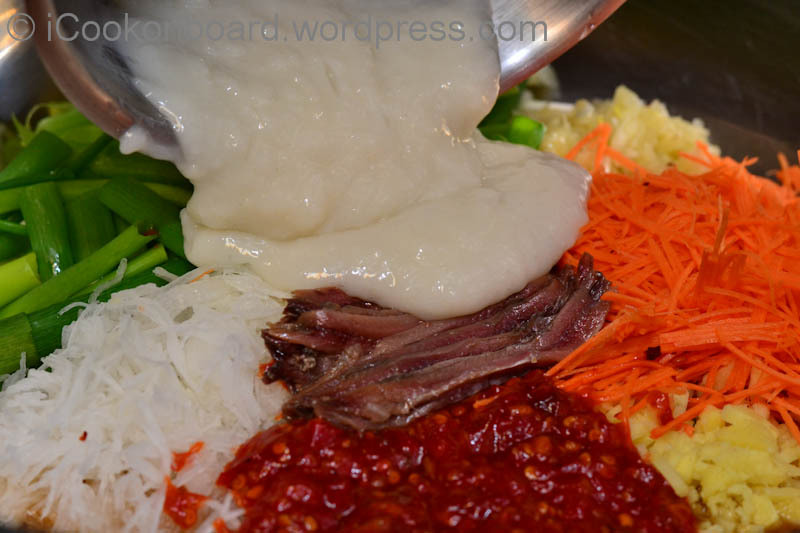 (Optional) You can also add White radish. Slice and mix with salt. 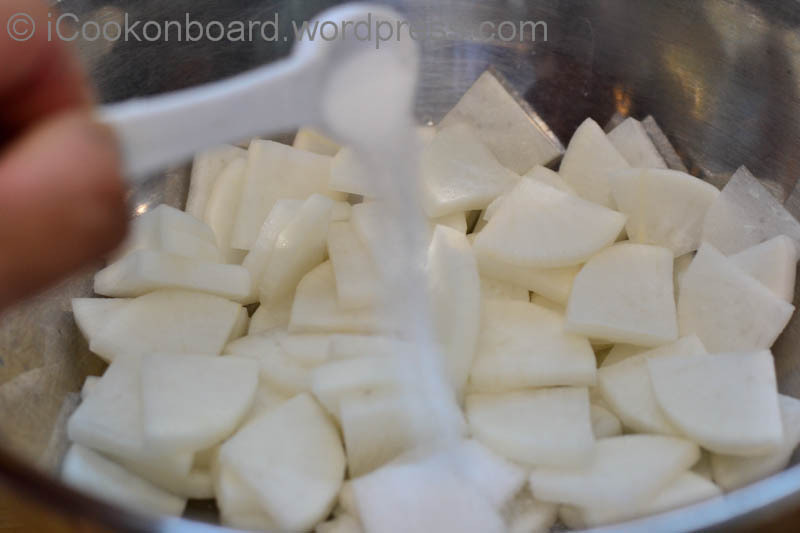 Mix to cover white radish with salt. Keep it aside for an hour. After an hour, wash in cool running water, strain to to drain excess water. 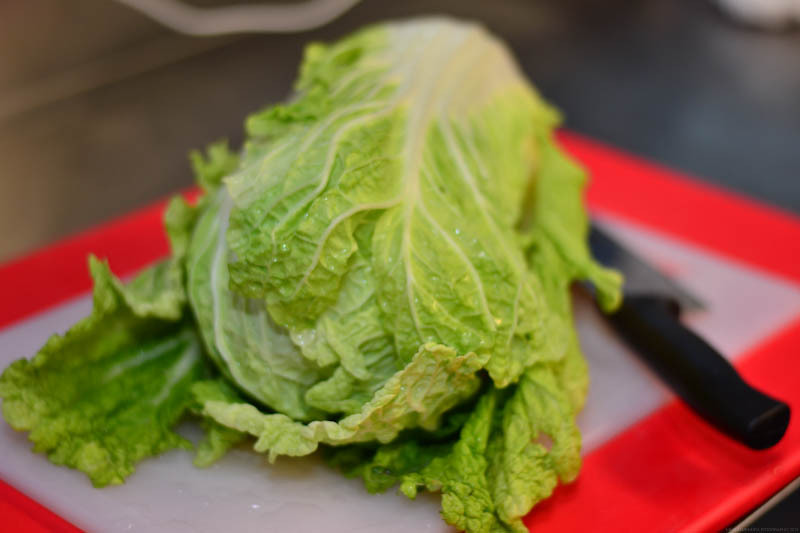 Add it to your brined Napa “Chinese” Cabbage. 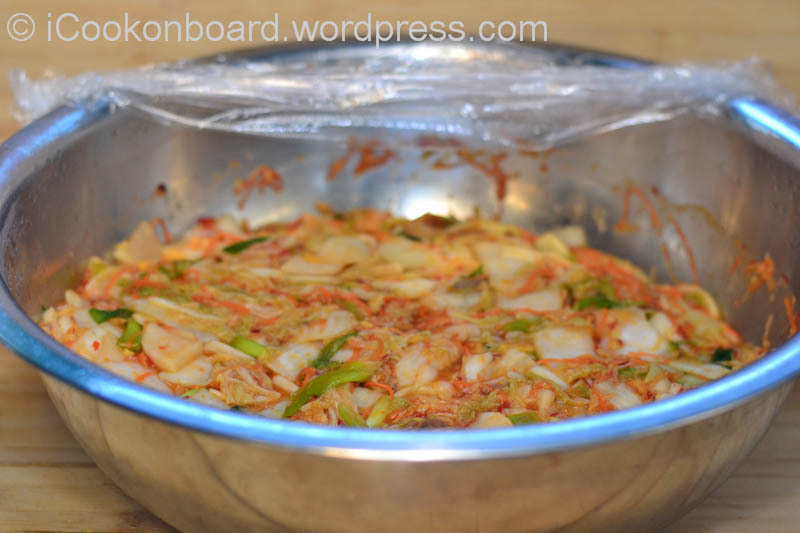 Keep aside until the Kimchi sauce is ready. Step 2, Cook the sauce thickener. 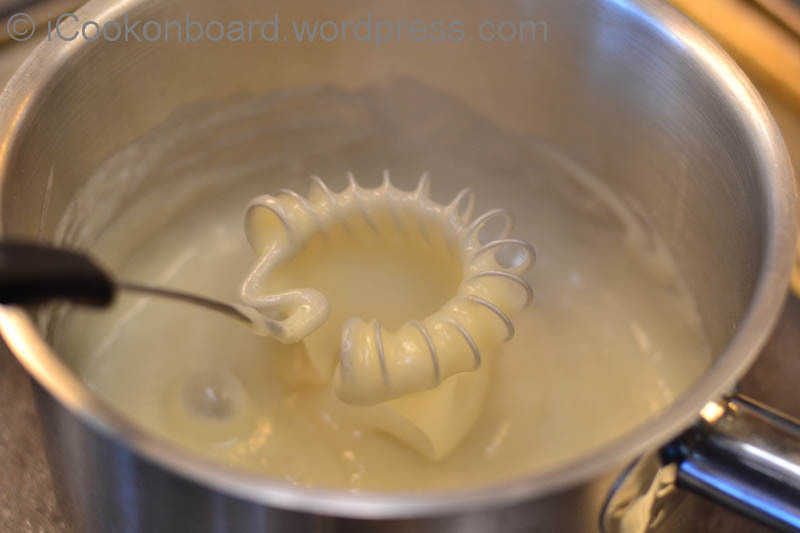 Whisk the Water & Flour into a saucepan, bring it to boil on very high heat. It will thicken in a minute, so keep on stirring. Take out from heat and keep aside to cool down. 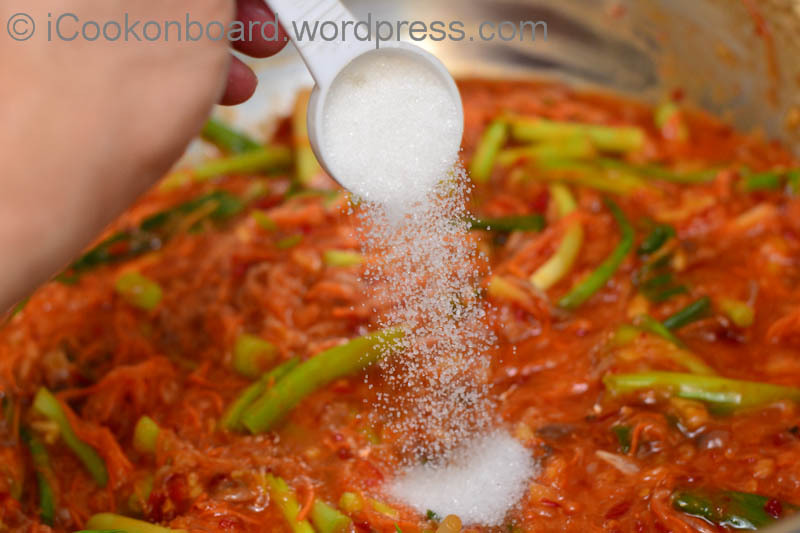 Step 3, Mixing the Kimchi sauce. 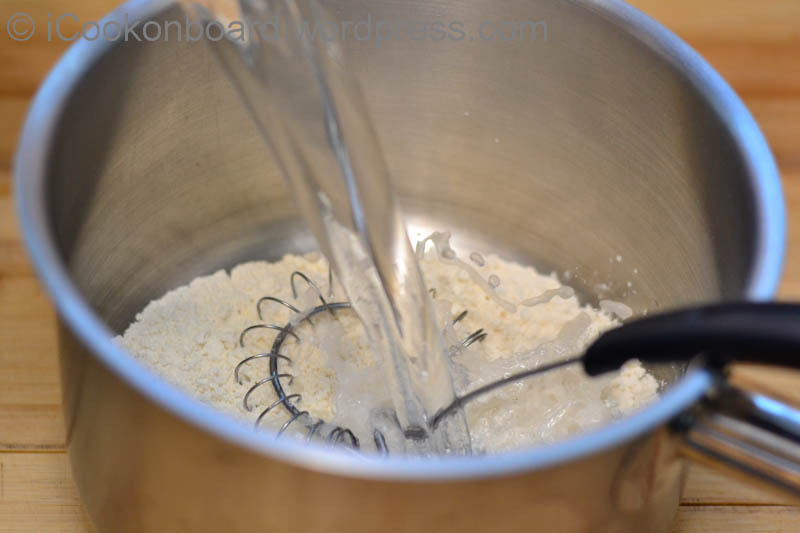 Blend by hand the rest of the ingredients and the Flour/Thickener mixture. Its best to wear a disposable food handling gloves to do this. 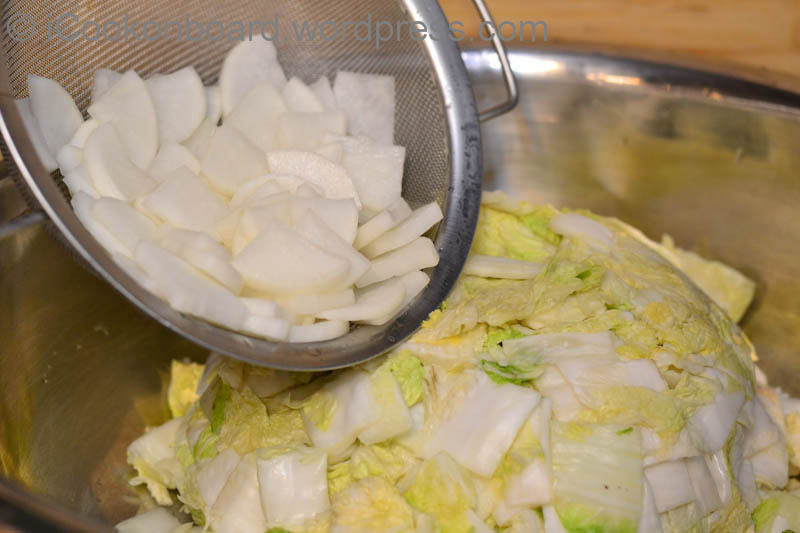 Add in the Chinese cabbage into the Chilli mixture. Taste to adjust spiciness. keep in a warm (room temp.) place overnight. 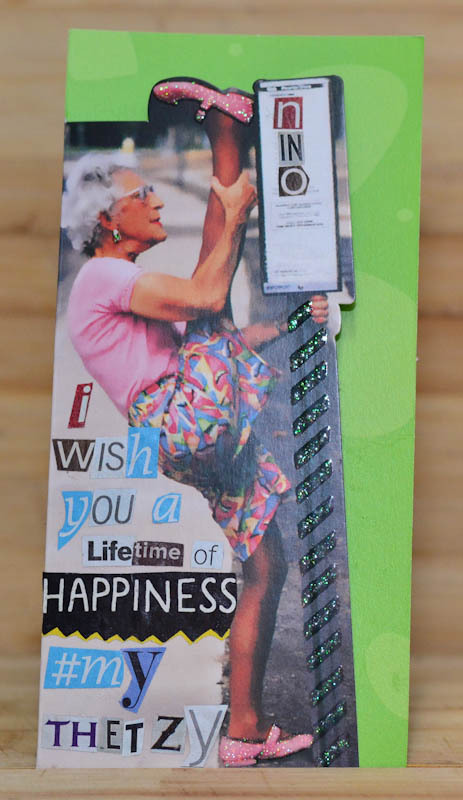 You can start consumming it the next morning,keep the left-over on the fridge. it will start to taste sour after 2weeks which is just natural due to its fermentaion process and still safe to eat. 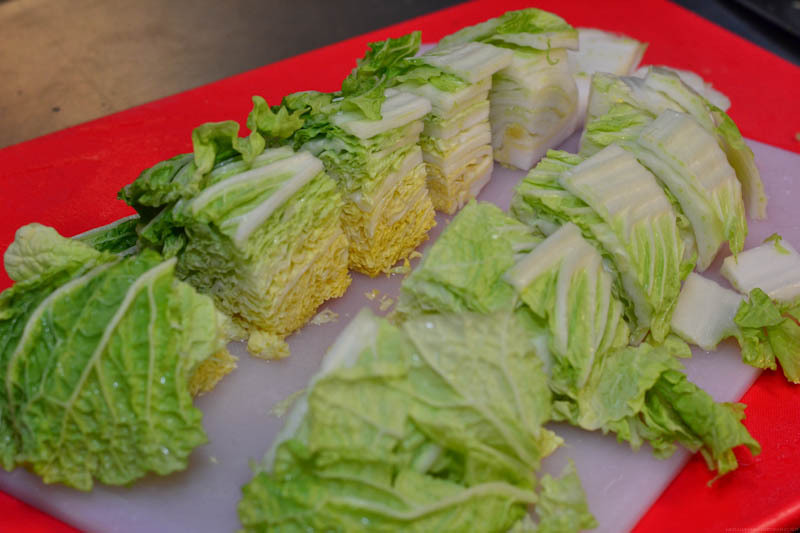 Napa “Chinese” Cabbage always use the freshest as it is your main ingredients for Kimchi. …Or cut it into chunks/bite sizes. 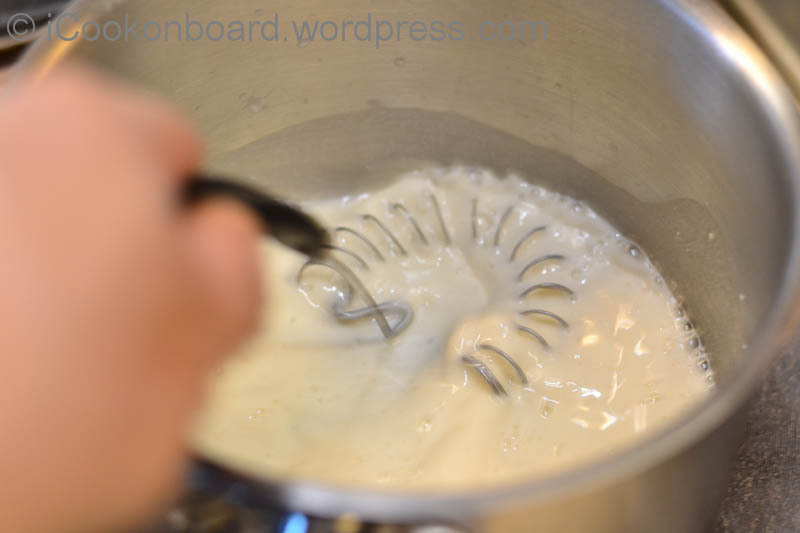 Transfer into a large mixing bowl. 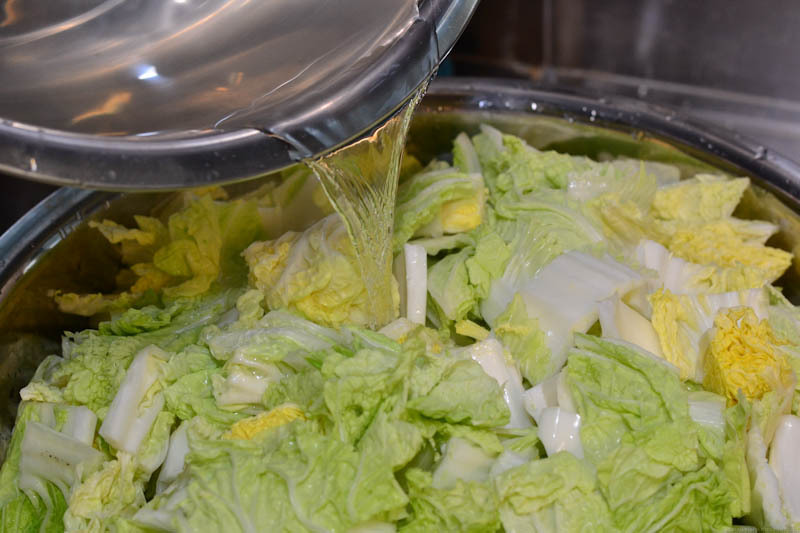 Pour in the Hot-Brine into the bowl of Napa “Chinese” Cabbage. 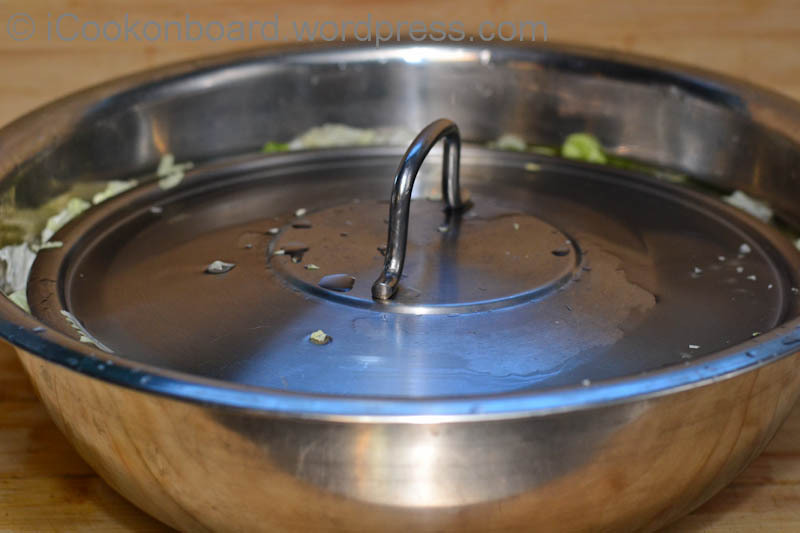 Cover it w/ a pot-lid to keep the Chinese cabbage soak in Hot-Brine for atleast 6hrs. 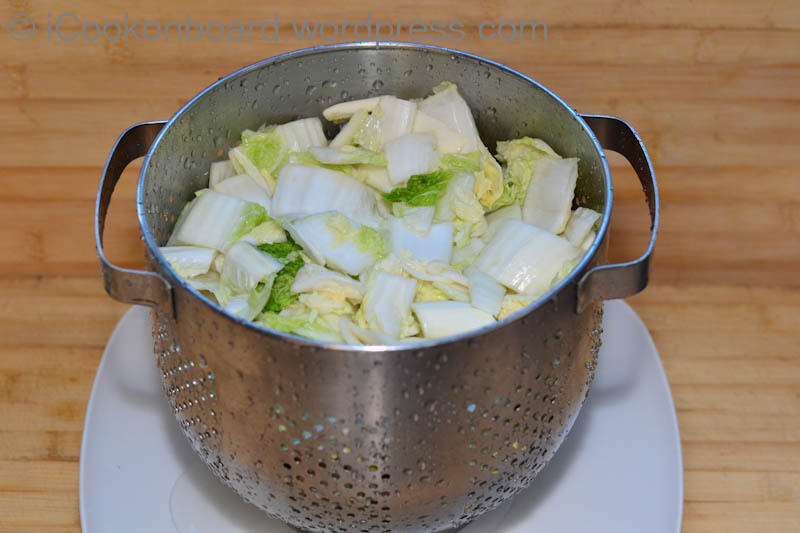 Drain Napa “Chinese” cabbage on a colander. 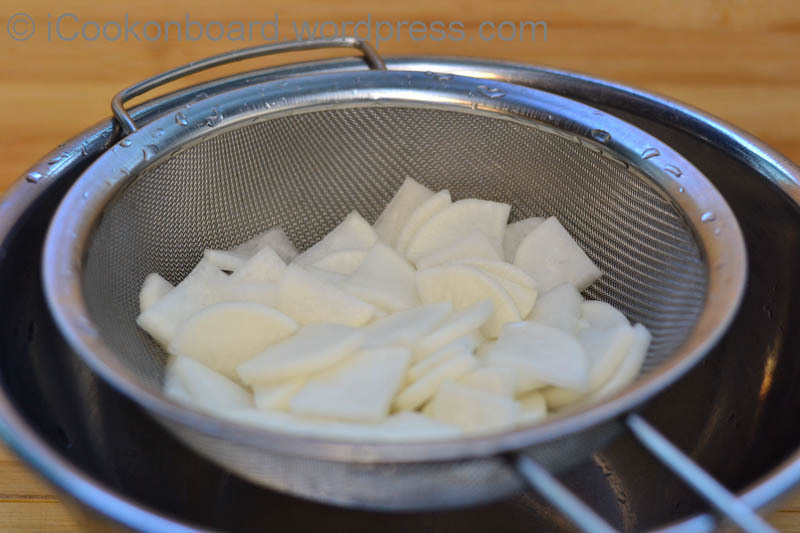 White radish, quarted lenghtwise and sliced 1/4cm thickness. 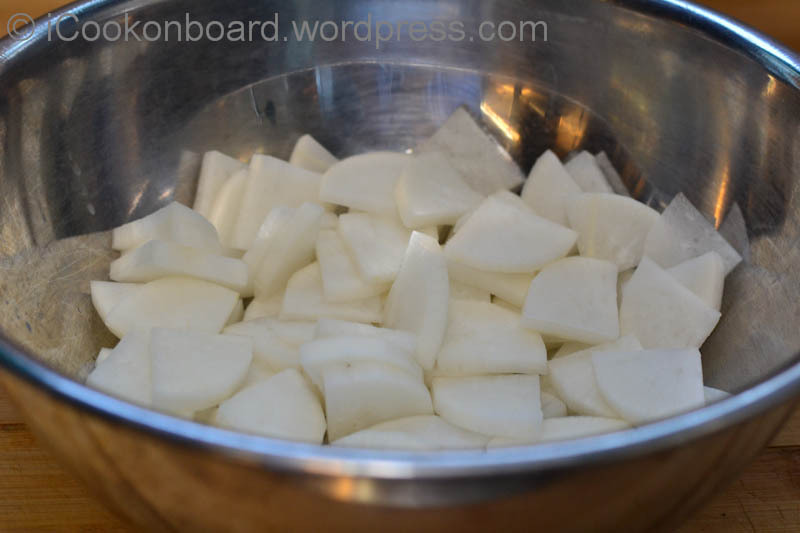 Mix to cover white radish with salt. Keep it aside for an hour. After an hour, wash in cool running water, strain to to drain excess water. 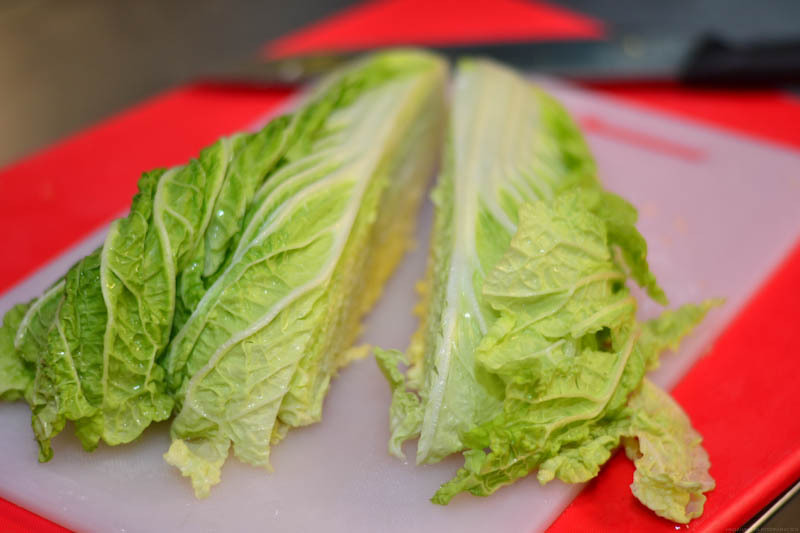 Add it to your brined Napa “Chinese” Cabbage. Keep aside until the Kimchi sauce is ready. 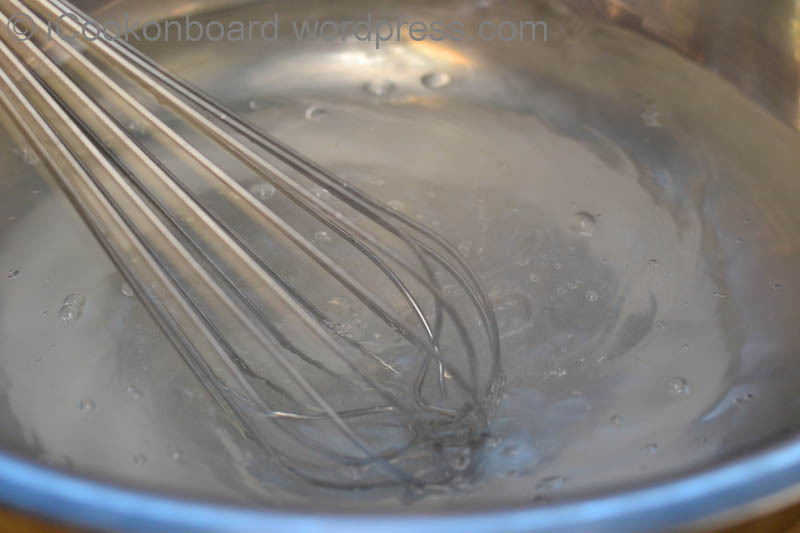 Whisk the Water & Flour into a saucepan. Bring it to boil on very high heat. It will thicken in a minute, so keep on stirring. In a large mixing bowl, gather the rest of the ingredients. 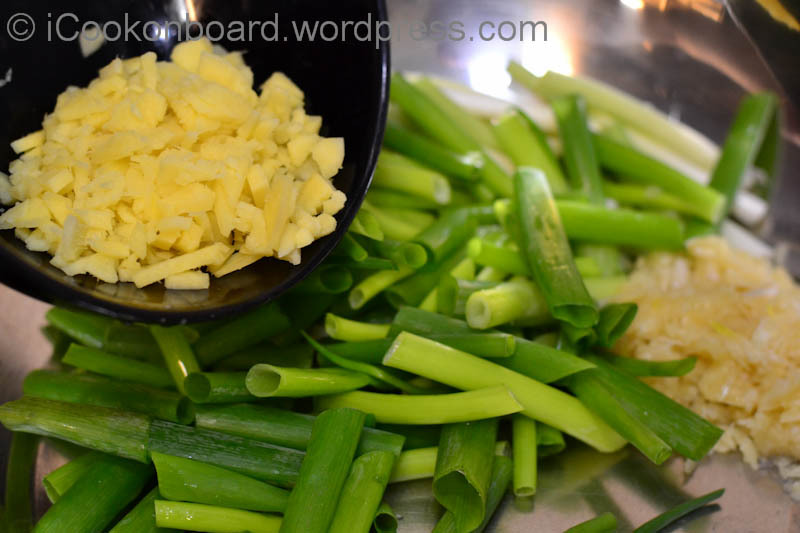 Shown here; Garlic, Ginger and Spring onions. 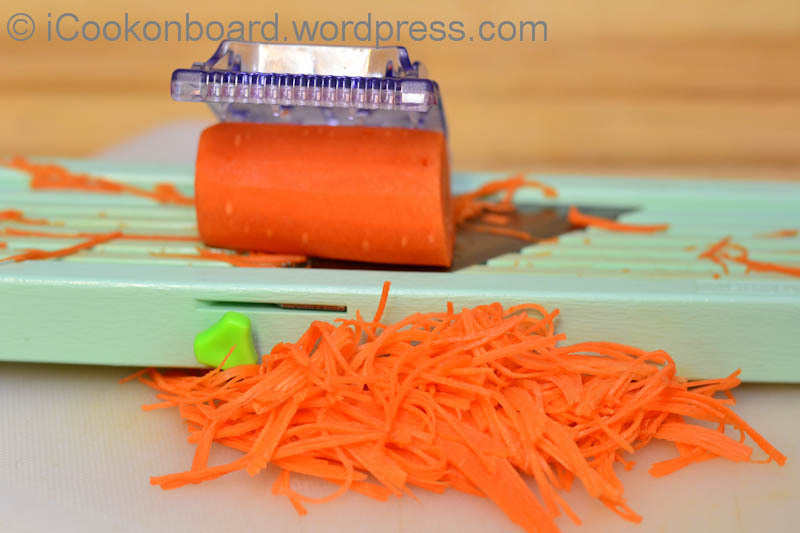 I use a Japanese Mandolin Benriner for carrots and white radish. I use the fine blade to make a “Angel-hair cut”. 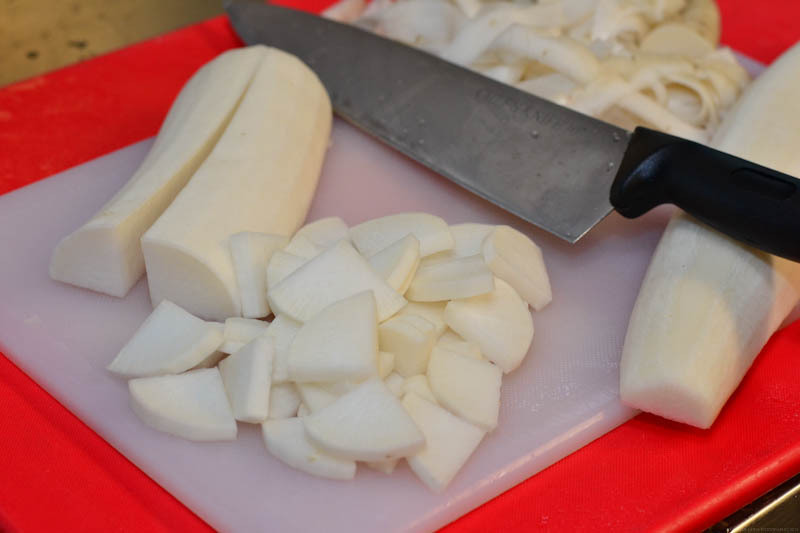 Doesn’t matter if you don’t have a Benriner, you can also do a fine jullienne cut using your knife. 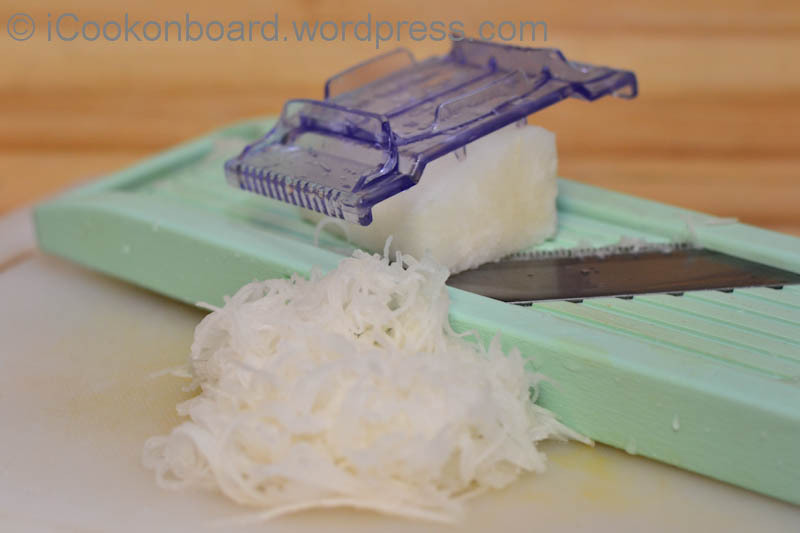 White Radish Angel-hair cut on Japanese Mandolin Benriner. 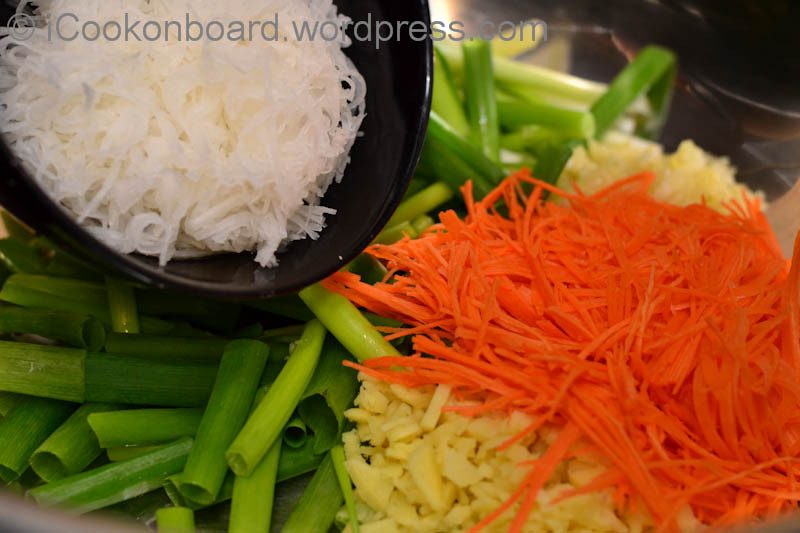 Add white radish and carrots into the mixing bowl. 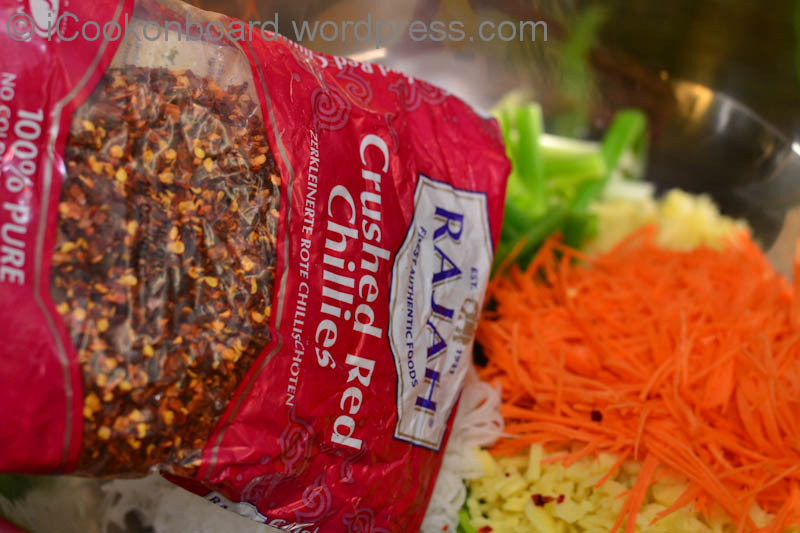 Add Crushed Dried Chillies. 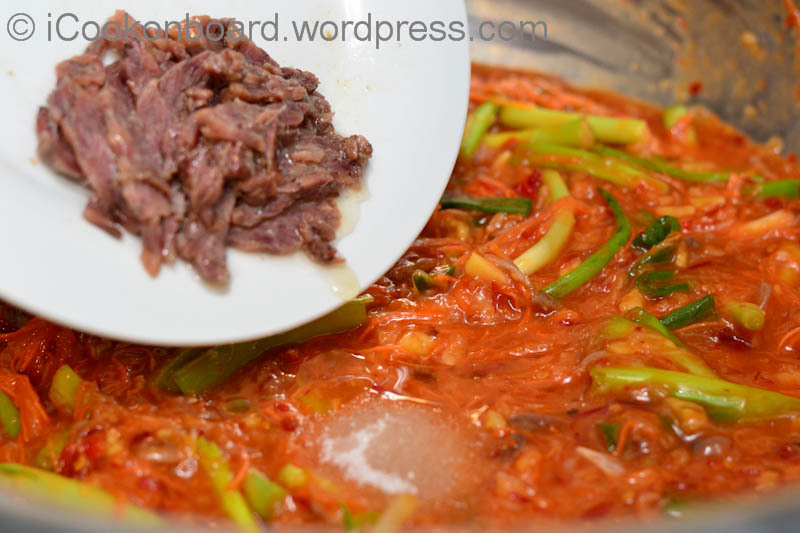 It is the best way to use if you are serving it to koreans, but for other nationalities this could be very spicy for them. 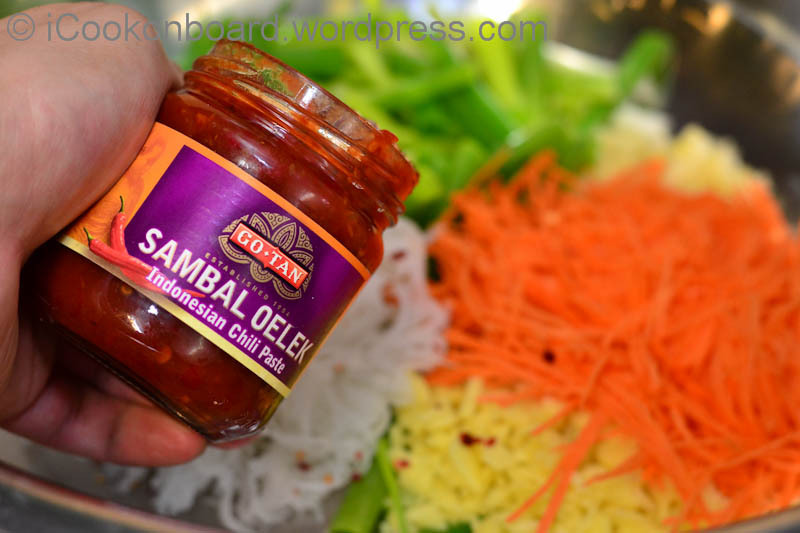 Sambal Oelek is a good substitute for Crushed Dried Chillies. It is mild, perfect for 1st timer to try Kimchi. 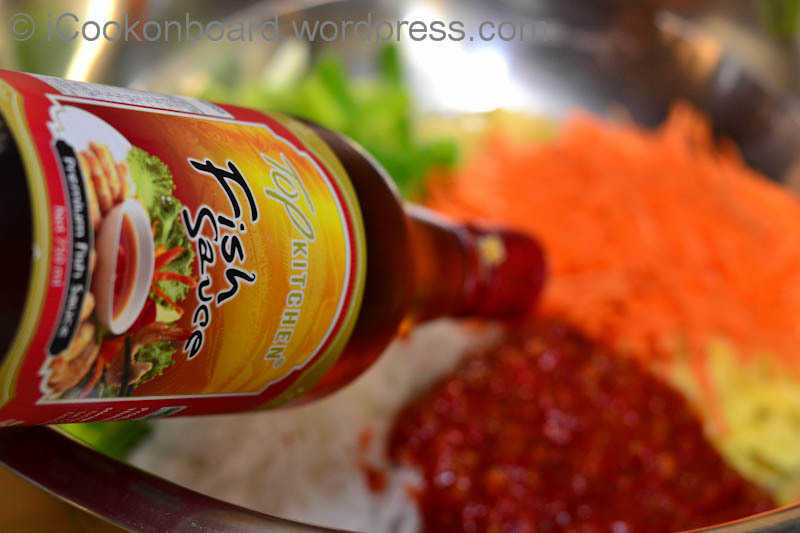 Pour in the Anchovy Sauce/Fish Sauce. 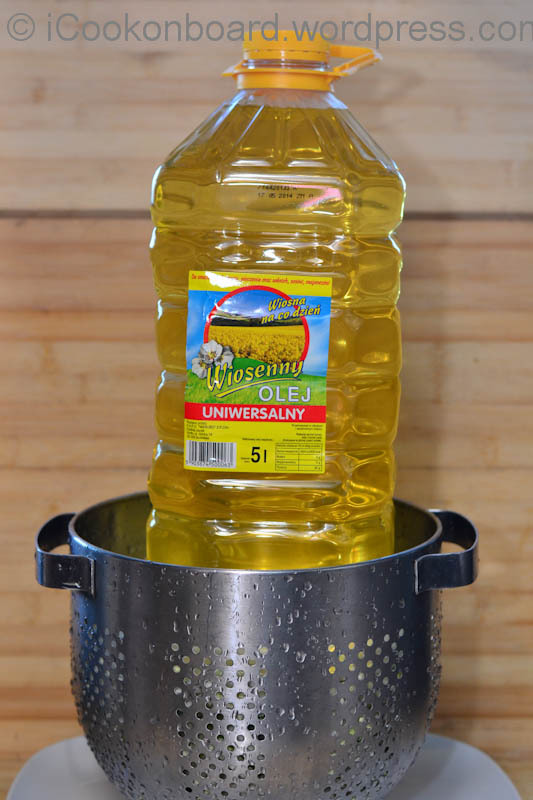 If Anchovy Dashida is not available, especially here in Europe, I use Anchovy fillet in oil as a substitute. 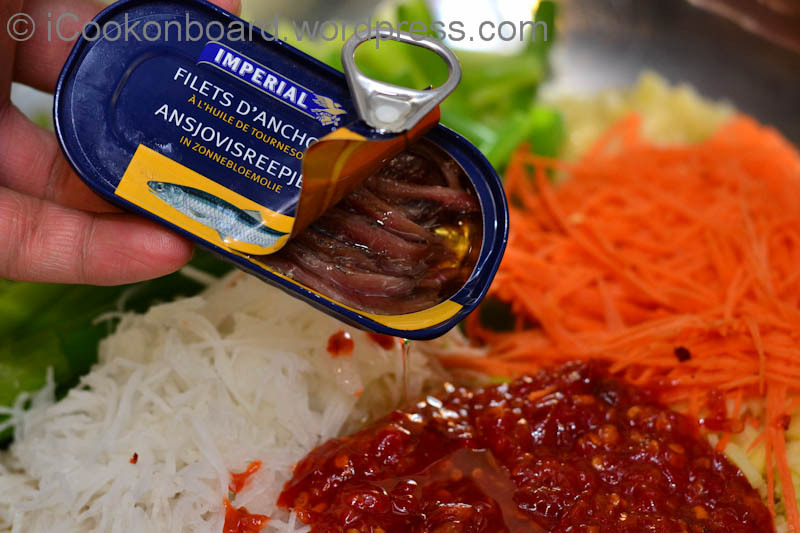 Add finely chopped Anchovy Fillet (include the oil). Pour in the Flour Thickening mixture. 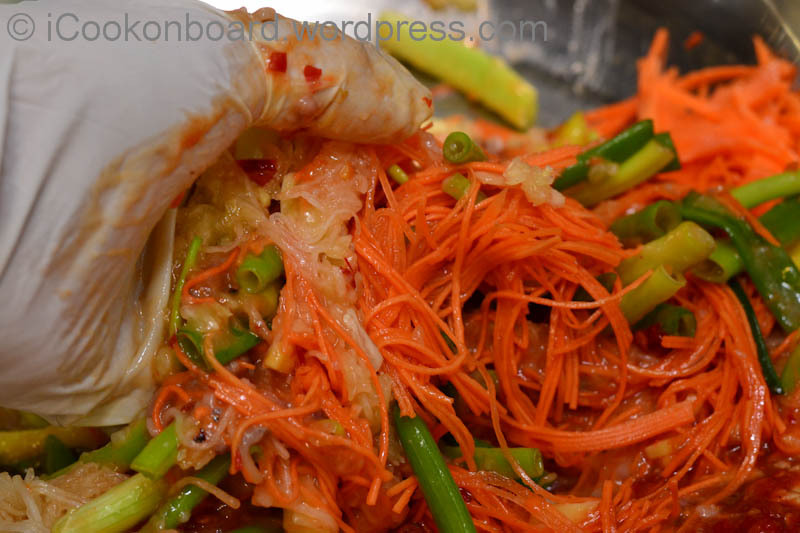 Start mixing the Kimchi sauce. 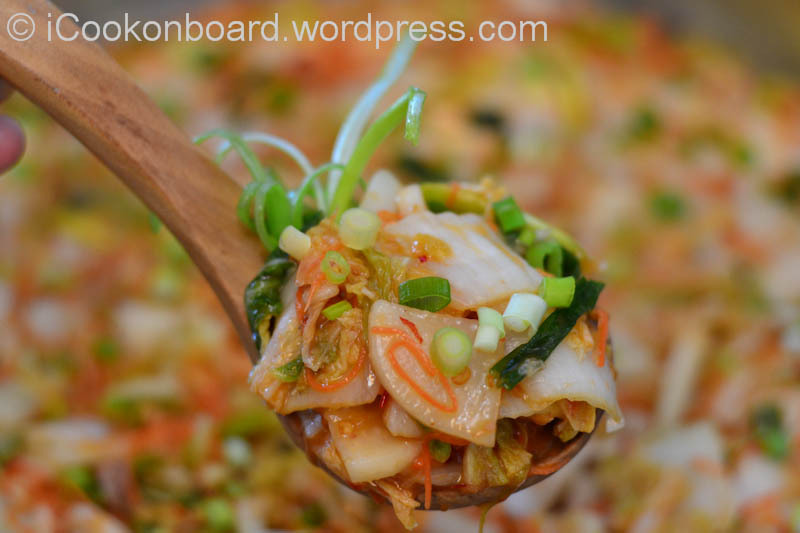 Take a few pieces of Napa “Chinese” Cabbage and add the Kimchi sauce, taste it. Now you adjust the taste or spiciness. 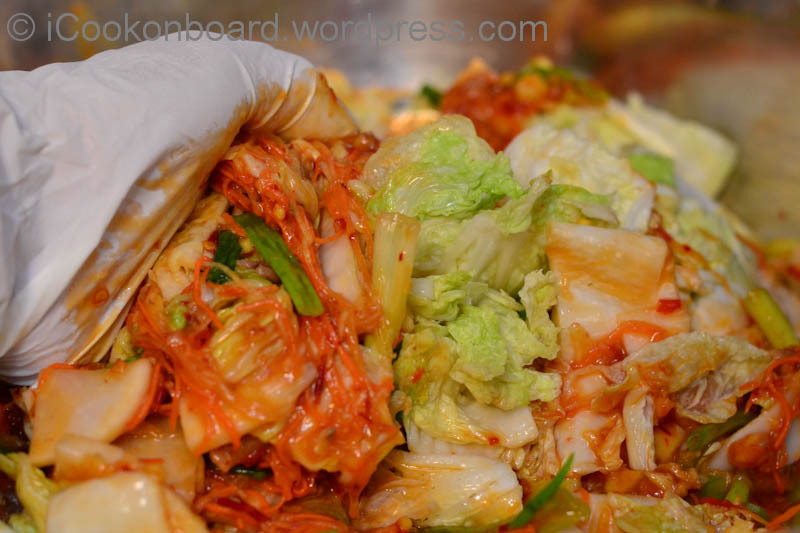 Add the Kimchi sauce to the Napa “Chinese” Cabbage. Half of the job is done! Now you only need to wait overnight to get the best taste of it. 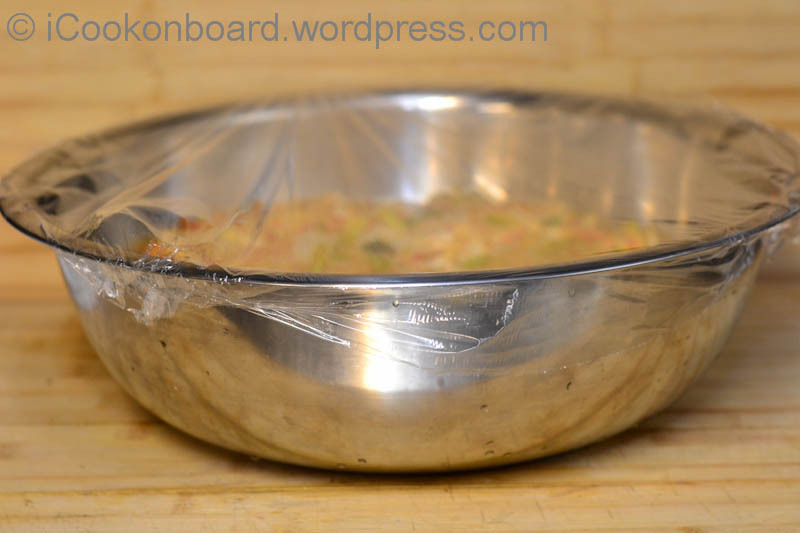 Wrap your mixing bowl with a film wrap or transfer it into sealed food container and keep in a warm (room temp.) place overnight. 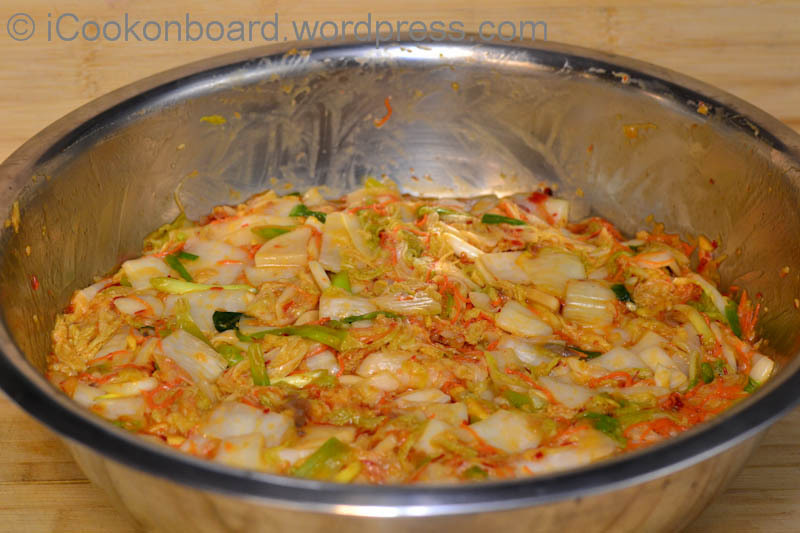 Kimchi is one of my wife They Zy’s favourite. After patiently waiting overnight, you can now taste and enjoy the fruit of your passion. 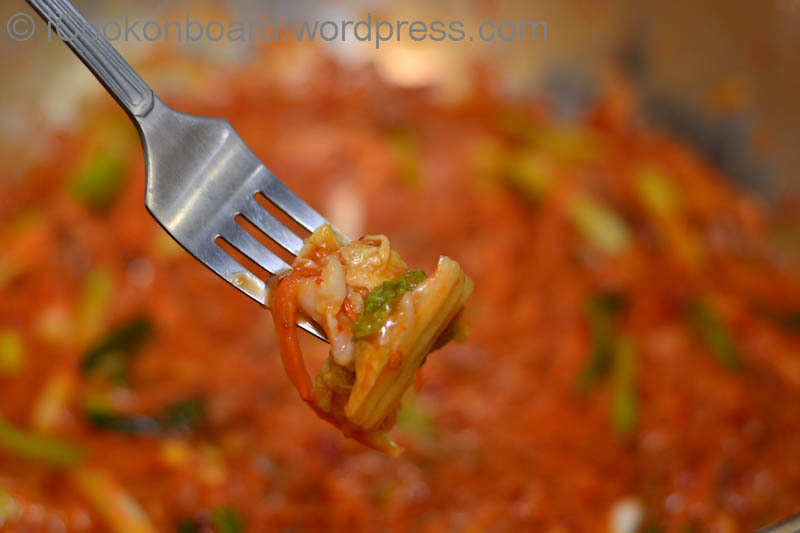 and kimchi fried rice (김치볶음밥; kimchi bokkeumbap). 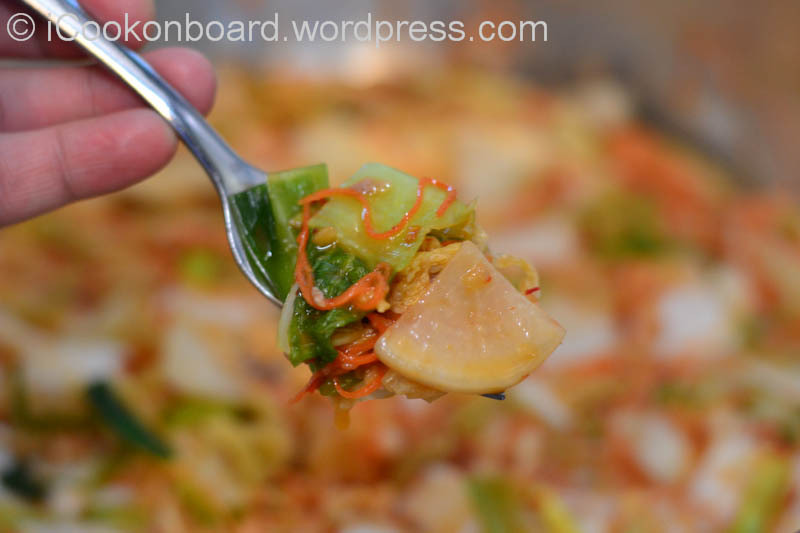 Thanks alot for spending your precious time on my blog and hope this recipe encourage you to try making some Kimchi.